Context is a group of professionals who use business principles to promote social change in order to combat poverty, resist exclusion and counter violation of human rights. Our core team is comprised of advisors, researchers, process facilitators and assessment experts. 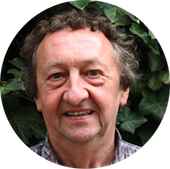 Fons is the founder of Context, international cooperation and has a long track record as social entrepreneur, development practitioner and as researcher, lecturer, trainer and process facilitator. His thematic areas of expertise include social entrepreneurship, capacity development and organisational learning. For over three decades he has commuted between practice, policy and the academic community. At the beginning of his career Fons worked for two institutes for development education (COS Den Bosch and Nijmegen); he has worked for many years as a lecturer and researcher at the Centre for International Development Issues Nijmegen (CIDIN), Radboud University of Nijmegen; he was the first course director of the Advanced Masters in International Development at the CIDIN; he has been a manager at two development organisations (ICCO and the Association PSO) before starting Context, international cooperation. He is also the co-founder and co-owner of Foresee Social entrepreneurs Pvt Ltd, Bangalore India. Pol is a senior consultant, with background in development economics. He also is business partner in Context, international cooperation. His key role in Context is to connect concepts and strategies to the practice of development economies and programmes with special focus on social business development and social & economic impact assessment. Pol is a development economist with an academic background in agricultural sciences (Master) and quantitative economics (MBA). He has a long and varied experience within different institutional environments, e.g. multilateral (UN) agency, academic institution, INGDO and social enterprises. His area of specialisation is the social-economic perspective in rural development. He has extensive hands-on experience in complex processes underlying policy and programme development, notably in the fields of social and economic impact assessment, social return on investment, Value for Money, financial and economic feasibility analysis, organisational learning, quality management, and in programme monitoring & evaluation. In recent times he has been strongly engaged in the development of social business concepts both at conceptual level as in the practice of social business planning and management. 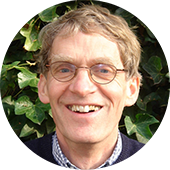 Titus conducts research, provides project management support and writes publications and reports. As a young consultant he actively helps us develop new strategies and stay up to date with the latest developments in the field of social entrepreneurship. 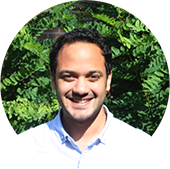 Titus is pursuing a PhD in organisational legitimacy and strategic stakeholder management for social enterprises in Bottom of the Pyramid markets. In the past, Titus has dabbled in entrepreneurial research, focusing on the topics of sustainability, eco-innovation & social entrepreneurship within small-and-medium enterprises. He aims to position himself between theory and practice as he enjoys exploring both the academic and the practical sides of social entrepreneurship. Nicolet joined Context in December 2014. She is responsible for the day-to-day financial administration. She is at the office on Tuesday morning and Wednesday morning. Nicolet has her own business in financial administration at home and does financial administration for various companies, foundations and associations where she feels inspired. 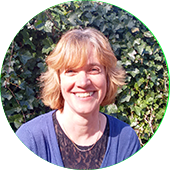 She has a certificate in bookkeeping and about 25 years of experience in working with all kinds of organizations both profit and non-profit. She also has a Bachelor degree in social work. Nicolet was raised in Amsterdam and now lives with her family close to Utrecht. 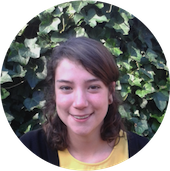 Margherita joined Context in October 2014 working as an intern. She conducts research, writes reports and publications and provides support for various consultancy projects, mostly relating to social entrepreneurship and capacity development. 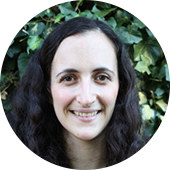 Margherita moved to The Netherlands in 2013 to pursue a Master’s in Sustainable Development at Utrecht University. During the course of the study she had the opportunity to conduct extensive field research abroad. In Rwanda she supported SNV’s WASH team in an evaluation of a new system for rural water supply. In Ecuador she researched the socio-environmental impacts of the construction of an irrigation scheme in an area inhabited by indigenous peoples. Through these experiences she has developed a keen interest in land and water governance, political ecology, capacity development and community mobilization. Iesja brings a fresh entrepreneurial energy to Context. 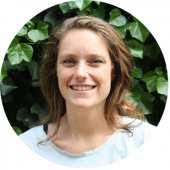 As co-founder of the social entrepreneurship platform SOON at the University of Utrecht she knows the current state of affairs in the sector and combines this with her background in international relations and change management. She conducts research, facilitates research processes and contributes to meaningful strategy development within Context. After high school Iesja travelled for an extended period to Ghana and France. This experience opened her eyes to what it really means to see yourself from another perspective. To observe the world without using your own cultural values as a starting point. This taught her the meaning of compassion and humanity. Two central values which have guide her personal and professional path since. She completed a Bachelor degree in International Relations and a Master degree in Change Management. She also participated in courses on the Art of Hosting and entrepreneurship designed by Knowmads Business School and YourLab. In 2011 she co-founded SOON; a platform for social entrepreneurship at the University of Utrecht. She has gained extensive experience in hosting and facilitating business development trajectories and multi-stakeholder value creation. In her role at SOON, Iesja has learned valuable lessons regarding larger corporations through her work with companies like Aegon and Rabobank. She has additionally explored her creativity within smaller initiatives with ‘Academie van de Stad’ and ‘Fair2’. Iesja combines her theoretical knowledge and hard work for different projects with a passion for kitesurfing and good food. Being outside and active brings her fresh ideas and the energy to stay focused. Laila joined Context in August 2016. She supports the consultancy team with various projects as a junior consultant with data collection, documentation review, process tracing, data analysis and report writing. She also makes sure that the office runs smoothly. As a global citizen, Laila has lived in various countries both in the global South and global North. She graduated from Utrecht University in 2016 with a Master’s degree in International Development Studies and she holds a Bachelor in International Business and Languages from Utrecht as well. Laila conducted her Master thesis fieldwork in Vietnam with Hue University, where she studied the effects of urban expansion and compensation packages offered for the loss of land. She investigated the impact of urbanisation on sustainable livelihoods and food mobility shifts of farmers living in a peri-urban area in Hue. Her aim is to position herself between theory and practice as she enjoys exploring both the academic and the practical sides of social entrepreneurship. Her interest in incorporating social entrepreneurship in the context of international development have made it a pleasure for her to join the team.